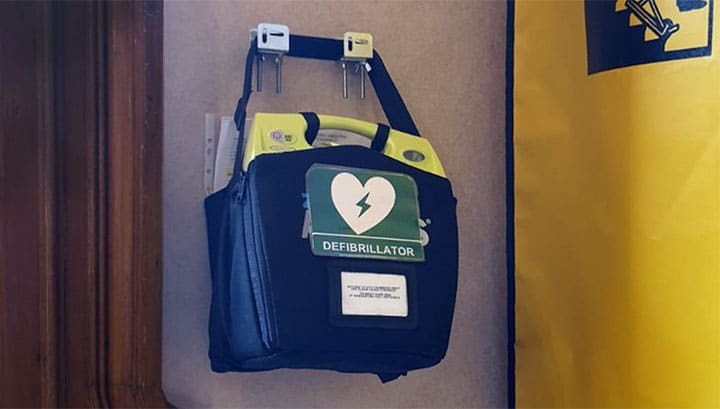 For the health and safety of staff and visitors, Glasgow City Council have taken the decision to install fully automated external defibrillators within the city centre. This could be crucial in saving lives for those who suffer a sudden cardiac arrest. Without immediate action, the survival rate is strikingly low. In Scotland, only 1/20 people survive to leave hospital. With these defibrillators installed around the city centre, those who experience a sudden cardiac arrest can get immediate help and therefore have a greater chance of survival. Where to find a defibrillator? City Chambers (West building, at in Gate House) and on the second floor next to the Banqueting Hall entrance. 40 John Street, main reception desk. Exchange House, 231 George Street, main reception desk. 220 High Street, main reception desk. Ask someone to bring a defibrillator if there is one close by. Turn on the defibrillator and simply follow its instructions. Anyone can use a defibrillator. However, if you have any queries you can get in contact with first aid staff for the area or you can visit the websites below for further detail. Cardiac arrest is caused by an electrical problem in the heart. The electrical problem causes the heart to stop pumping blood around the body and to the brain.